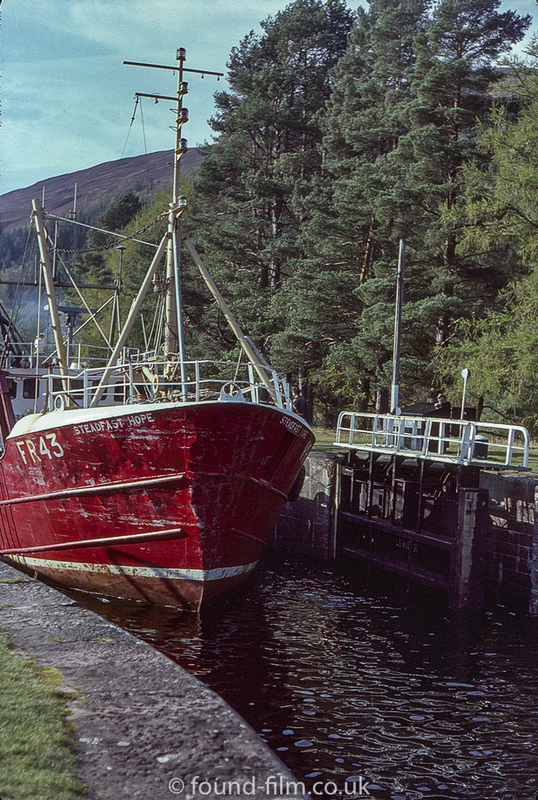 A picture of a trawler called Steadfast Hope FR43 on its way through a lock. In this picture the front of the boat seems to have suffered some sort of damage with quite a lot of crumpling around the sides of the ship and the bow. 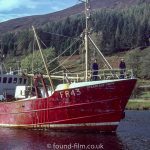 This picture was taken on Kodachrome film in September 1980. 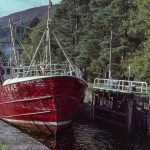 It looks like this was taken whilst it was negotiating one of the locks along the Caledonian Canal.